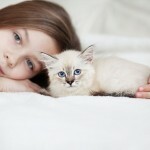 What You Should Know About Blood in Cat Urine - For The Love of Cat! If your cat’s urine is tinged with pink, looks rust colored, or is deep red, he has blood in his urine. Finding blood in your cat’s urine is most likely not an emergency, but it is a call to action. It means that your furry friend needs to see his doctor as soon as possible. Blood in your cat’s urine can be a symptom of many diseases. Most of them are easy to take care of, but putting off a visit to the vet could cause your cat to die before his time.This is a list of some of the conditions that might cause your cat to have blood in his urine. 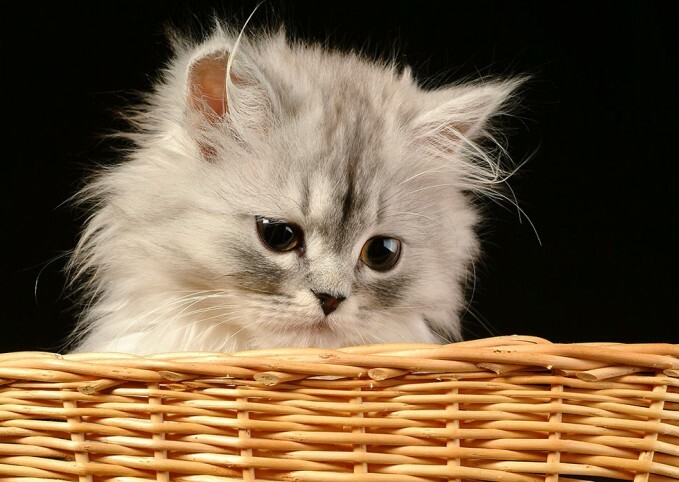 Male cats have a narrow urethra, the tube that carries your pet’s urine from his bladder to the outside of his body. This tube is also called his urinary tract. Because it is narrow, it sometimes gets clogged. If this is the case, take your cat to see his veterinarian right away. A blocked urethra is a life threatening condition. This is a common sickness in cats. No one knows exactly what causes these problems for cats. Some veterinarians think that being dehydrated, old, or under a lot of stress can cause your cat to develop this kind of illness. Some think that a cat is more likely to get urinary tract and bladder infections if they aren’t getting the proper balance of nutrients. Urinary tract infections are also common in cats with diabetes. The good news: these problems are easy to treat. The bad news: a cat that does not get treatment for this problem can die in a matter of two to three days. This is because being unable to get rid of waste will quickly cause your cat’s body to shut down. Other things that your cat might do if he has a bladder or urinary tract infection include not being able to pee or peeing too much, licking his privates more than usual, or meowing loudly when he uses the litter box. If your cat does have a urinary tract or bladder infection, he is probably in a lot of pain. Make sure to take your cat to see his doctor right away if he does any of these things, even if you haven’t found urine in his blood yet. Even though bladder cancer doesn’t happen to cats very often, it does happen sometimes. Female cats who were never “fixed,” and cats that are “senior citizens” or overweight are more likely to get cancer than others. If your cat does have bladder cancer, the vet may call for chemotherapy, radiation, or other types of medicine. If the tumor is small enough, your cat might need to have surgery to remove it. Your cat’s vet will do tests on your cat’s urine to see if he has bladder cancer or another disease. Sometimes a cat will have blood in his urine as a result of being injured on the inside. This can happen if he gets hit by a car or kicked in the stomach by one of the neighborhood bullies. It could even be the result of getting into a fight with another cat. This is a serious situation for your furry feline friend. Take him to the vet right away. Sometimes cats eat or drink things that are not good for them, causing them to bleed internally. The result is blood in his urine. The most likely culprit is rat poison. If your cat eats a mouse that has recently eaten poison, your cat also just ate poison. This could be the cause of the blood in your cat’s urine. This is a serious situation and could lead to your cat’s death. Rat poison is an anticoagulant, which means that it causes your cat’s blood to stop sticking together and clotting like it is supposed to. This is how it kills the rats and mice. If your cat eats some of it, you must take him to see his doctor right away in order to keep him from dying. 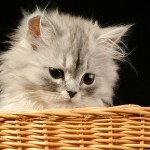 Even if you are very careful and never keep anything in your house that could harm him, take your cat to see his doctor. Neighbors or roommates might have unknowingly left something laying around for Mr. Whiskers to get into. Taking care of your cat if he has eaten rat poison is very simple. The vet will probably give him a shot of vitamin K. But if you wait too long to get him to the vet, he could die. If your cat is a girl and she is more than four months old, she may have blood in her urine because she is in heat. This means that your sweet kitty is ready to start having babies. This is a natural condition and is not harmful to her. There are other symptoms that will let you know that she is in heat, not ill, such as acting extra “lovey,” meowing loudly, and raising her backside in the air. Even if you are sure that your cat is in heat, a trip to the veterinarian is still recommended to rule out any sicknesses. You definitely do not want to risk missing a disease that might cause her to die. While you are at the vet, you might want to consider having your cat “fixed.” The vet calls this being spayed for a girl cat and neutered for a boy cat. Having your girl cat spayed can prevent her from getting certain cancers. Plus, living with a cat that is in heat is very difficult. This is because her instincts are driving her to find a mate and produce kittens. She will meow extremely loudly until you let her out. She will also rip or push through the screens of open windows until she can escape. Even though kittens are wonderful, it is often hard to find good homes for them. 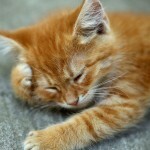 Kittens that end up in animal shelters are often put to sleep, or euthanized, if they are not adopted quickly. Cat’s that are turned loose into the wild often lead difficult lives and end up dying anyway. If your cat is a boy, you also have a responsibility to keep unwanted kittens from being born. Did you know that a cat can get diabetes just like a human? 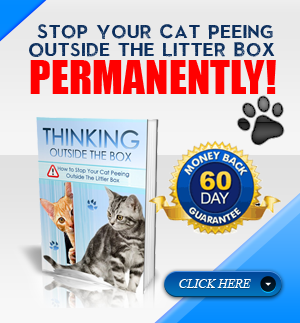 Blood in your cat’s pee can be a symptom of this disease. Other signs to look for in feline diabetes are drinking a lot of water, peeing outside of his litter box, and urinary tract infections. Cats that have diabetes can live happy lives just like people who have diabetes. If your cat has diabetes, you will probably have to give him medicine every day for the rest of his life. You will also have to change the way that you feed him. You might have to stop feeding him dry cat foods and start feeding him the canned meat types of food. Some cats develop bleeding disorders and have blood in their urine from time to time. This happens when the parts of your cat’s blood that make it stick together and clot do not work properly. The vet must do tests on your cat’s blood to see if this is what is happening to your cat. It is important to rule out other diseases to make sure that your pet lives a long, healthy life. Before you take your cat to his appointment, take some time to write down everything you have noticed, even if you think it might be unrelated or silly. Telling the veterinarian all about your cat’s behaviors, eating habits, and litter box activities can help him make a proper diagnosis of your cat’s illness. It can also help him know which medicines and treatments will be the most helpful. You and your veterinarian both love Mr. Whiskers and want him to get back to his old self as soon as possible. Although there are many reasons for it, blood in cat urine is not a reason to panic. It is a signal that means your cat may be sick and needs to see the vet as soon as possible. Taking your cat to see the vet right away will improve his health and ensure that you and your cat will be able to enjoy each other’s company for many years to come.